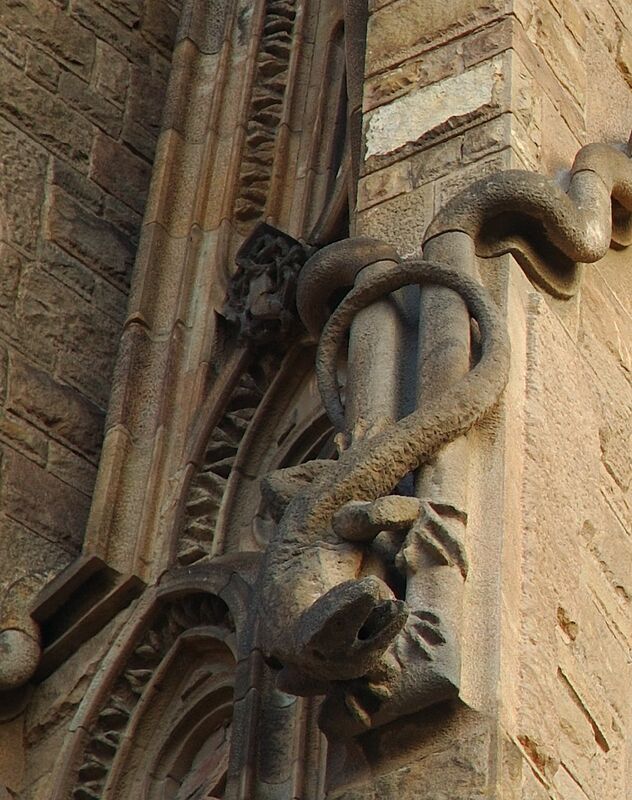 For those of you who are fond of gargoyles,mythological beings,gods or goddesses, serpents, unicorns, gryphs or lizards I let you catch a glimpse of Gaudi's work on the façade of Sagrada Familia facing the upper side of the city also known as mountain side. It is a part that we tend to ignore as it reminds us of some other average churches but if you take a closer look you discover strange creatures for a church or impossible spires multiplying by the dozen on top. interesante detalle de la muy famosa obra de Gaudi... fenomenal!!! Both awesome and overpowering! Great shot! 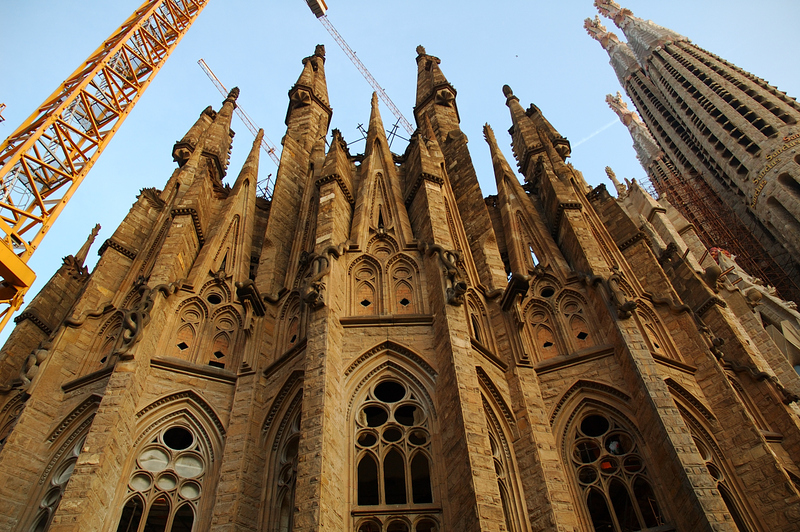 I was completely amazed by the Sagrada Familia. Only God knows how much film I used up while there. Beautiful facade and great shot. this kind of architecture elements always show a charming looking to me.Thanks for sharing. i don't understand why they closed the window by bricks? Those lizards are absolutely terrific. Wish I could take them off and put them on my front door! Now that would be a great feature! Thanks Carlos. Thanks everybody. Harleqinpan, this side is being restored so I guess they will place some stain glass windows when they are over. 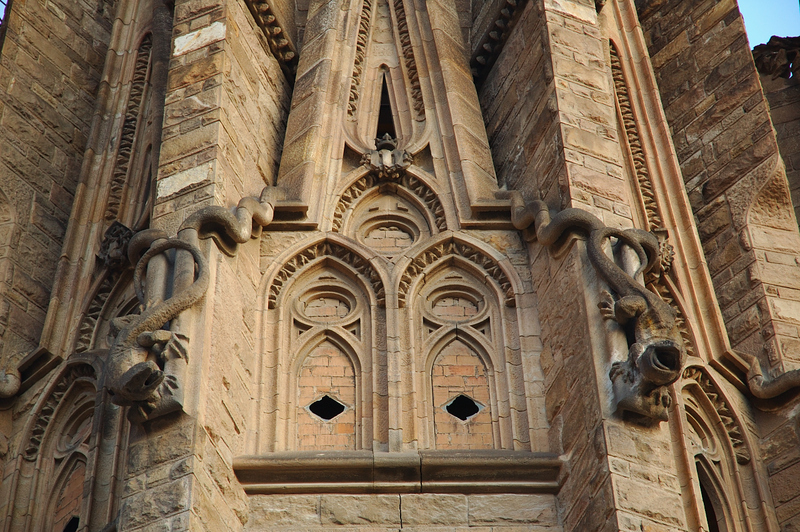 Beautiful detail of the façade.